As I’ve been reading The Poet’s Companion, I have been writing poems. I thought I’d take a moment to share some poetry journal excerpts with you. Re-reading this book has brought up memories and sensations I wasn’t expecting. The first and last time I read it, I was in the middle of abuse and turmoil. 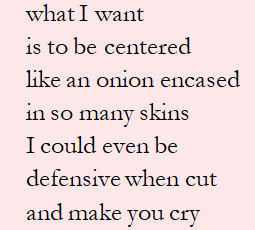 Looking over certain passages, reading example poems such as Ellery Aker’s mind-blowing “What I Do,” I have felt old familiar feelings of hurt and unrest. I remember what drew me to poetry in the first place. I have gotten caught up in poetry as “a work” and an academic achievement in recent years, but The Poet’s Companion kindly reminds me that truth and vulnerability are where the beauty is. It reminds me that writing about experiences and observations are about articulating a shared human experience. Being brought back to these Greater Truths about writing is a little scary, but in a good way, as if I’m about to find out who I really am, after all this time, uncovered. Here are some stanza selections from July 2018. 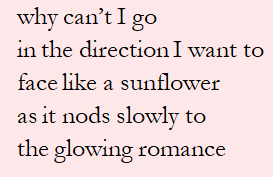 Most of these poems are out in the submission process right now, which I why I can’t share the entire poem. They are where they should be, doing their poem job. I’ve been devoting time to writing poetry. The morning works for me, so does early evening before bed. This may not be the case for other poets. Some people write poetry as a academic exercise. Others because they want to do something ‘spiritual’ or mindful, and tap into what they feel, and sense. I have no objection to this, I think writing poetry, and any way you can get the practice into your life, is a wonderful thing. For me, poetry writing has not been optional. I’m very much in the I-do-this-to-survive / confessional / more-like-Anne-Sexton part of the spectrum. Here is a list of what causes me to write poems. It’s usually fueled by some kind of intensity—but that can take many forms. I usually have dreams that I can write easily into a poem. My dreams tend to be highly symbolic. Very often I’ve written dreams in full description, and that’s been enough for a complete poem. Sometimes, it is a dominating color in a dream, or a theme. There is a treasure of image, sound, emotion, and downright psychological awareness from dream material. If you haven’t taken the time to explore your own psyche in this way with poems, I recommend it. The typical teenager pouring their heart out onto the page, feeling forcefully, isn’t a archetype without reason. Emotions can be a huge source of energy and used successfully as writing material. They can be used to connect you to potential readers, they can help you experiment with the language, they can strengthen your sensitivity and enable you. Joy, sadness, loss, grief, all aspects of the human condition can be described with the words of your choosing. I deal with several mental illnesses, which are mostly managed. But they do have periods where they creep in or takeover my life. Writing enables me to use language to expel my thoughts. Sometimes, I use poems as a therapist. Or I use poems to make metaphor from what seems intangible. Using poetry to label difficult sensations, during times of trial can really aid in grounding and perspective. 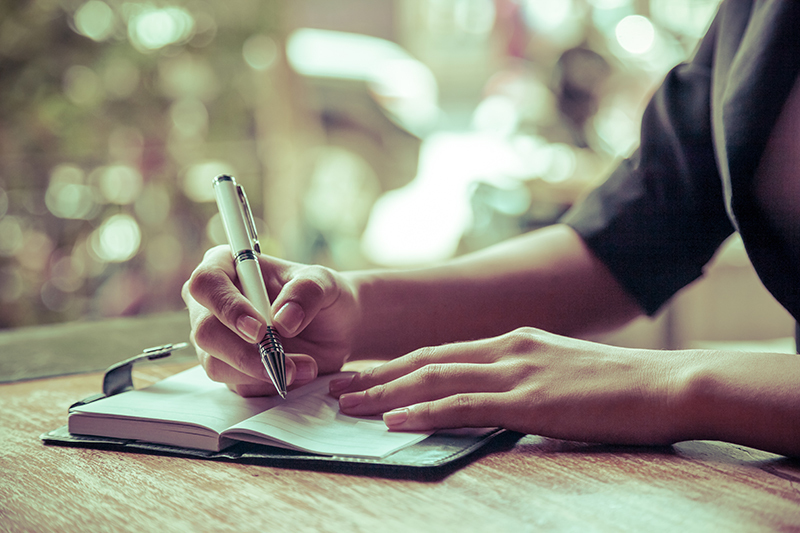 You might feel improved after writing out your pain, or at least feel legitimized—because the mark of your reality has now morphed into an art. Our brains are amazing and keep so many details. Special memories or persistent memories are good writing material. I have also used poetry as a sort of journaling, to keep a feeling or memory intact—say a special day with someone. Maybe you really want to remember seeing the beach for the first time, for example. It can used as a time capsule, keeping your experience alive with a word picture. If you’re seeking something to write about, try thinking over some of the things I’ve mentioned. Maybe an experience, a dream, or a feeling can open you up to a field of language you never knew lived inside.